Hi, I am Leah, an English Teacher from Los Angeles and I want to share my story of learning Spanish with you! I have been studying Spanish since high school but did not really start communicating in the language until living abroad in Spain. Read about my struggles and successes with Spanish — I also include my 5 top tricks for language learning! Learning Spanish For Six Years But Still a Newbie? That was about the gist of the initial conversations I had during my first several months in Madrid, Spain. It was not as if I had arrived out-of-the-blue, on the whim to learn Spanish. About 6 years of Spanish lessons trailed behind me as I walked around Puerta de Sol. Yet those years of textbook teaching and vocabulary quizzes never really led to stringing together casual phrases. 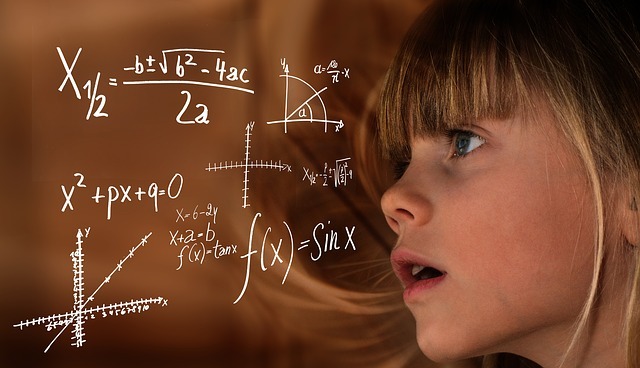 My High School Years: Is Spanish Maths or a Language? In high school, Spanish was treated as a mathematical equation, in the sense that we memorized the structures of the language rather than practicing spoken words on our tongues. Every day in the classroom was the same. We warmed up with a 15-word vocabulary quiz (which everyone always began studying for five minutes before the bell) and then would go straight to the textbook to learn a new grammatical structure. The class finished with some exercises in the workbook to practice and bring home for homework. All explanations and instructions, of course, were given together in English. Let’s just say that no one in the class walked out fluent in Spanish. My College Years: Spanish Literature opened my Eyes! While in college, I took Spanish courses more out of an obligation to complete the graduation requirements than a desire to continue studying the language. My disinterest towards languages changed upon my first college course in Spanish; an introduction to Spanish literature, which incorporated literature, art museums, cultural movements, and discussions (albeit brief, but there were legitimate question and response exchange). Suddenly, Spanish stopped seeming like a series of equations and became a method of communications. Spanish was spoken from beginning to end as we studied Lorca, Neruda, and Allende. However, three hours a week of classroom-oriented speaking was not enough to be immersed in the language. I craved more — to go exactly where Cervantes scribbled and Dali painted, and be surrounded by Spanish for all hours of the clock. 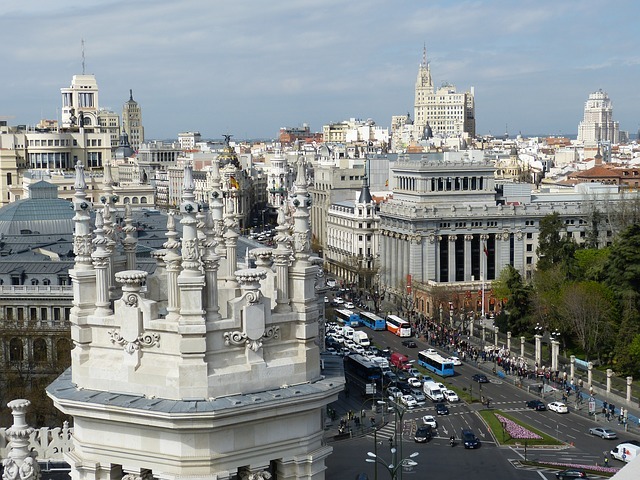 Madrid, here I come – and facing reality! After graduating from college, I confidently hopped on the plane to Madrid to spend the year teaching English at a Spanish primary school. Knowing I could read, write, and understand Spanish, I had high expectations at being able to quickly pick up the speaking part of the language. The expectations quickly diminished as my stumbling, mumbling tongue blocked my way from actively participating in a friendly conversation. In the beginning, even just explaining my background and decision to live in Spain was a difficulty, when most people are easiest talking about themselves. My difficulty in maintaining conversation was a mix of lack of confidence and lack of speaking practice. Yet, when I wanted to practice, people would often switch to English in the attempt to put me at ease (which of course, only aggravated me further). My desire to practice was often crippled by my unease in speaking a second language. Overcoming the contradiction took a lot of persistence and self-assurance. Improving my Spanish was a matter of being outgoing and open to new ideas. The more I left the house to meet new people or see new sites, the greater the opportunity I had to practice. If there was not a friend nearby, I would sit down on the terrace of a cafe looking out to the hubbub of Lavapies and order un cafe con leche y una tostada for breakfast. In beginning the day by leaving the house and ordering food in Spanish, I was more prone to continue the day speaking Spanish. And, even if the day ended in more English, I still had sipped my coffee while speaking Spanish in the morning. Become more fluent with my daily coffee! As ordering became easy for me, I noticed that waiters stopped slowing down their speech or recognizing that they were speaking to a foreigner. I could confidently walk into a cafe, lean my elbows across the bar and order quickly, with a sharp “Oye,” to call attention. I stopped hesitating, started talking and laugh about my mistakes! Once I had my morning routine rehearsed, it also became more natural to speak to people on the street and amongst bigger groups of people. 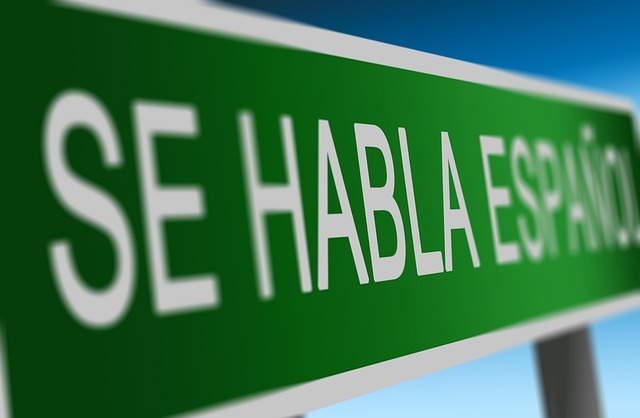 I stopped hesitating before asking for directions or help in Spanish. If I was unsure of which linea del metro to take to arrive at barrio Salamanca, I would go up to the nearest stranger and merely ask. Seeing that I could ask a question, be understood, and then understand the response left a big impression on me. Once I realized I could talk to anyone around me in Madrid, I stopped hesitating before opening my mouth. Finally, hola, rather than hello, became a natural greeting as I crossed passerby on buses, trains, and sidewalks. Now, two years later, the majority of my friends in Spain are Spanish-speakers and go days on end without speaking English. I still have moments of difficulty where I forget a word or conjugate a verb incorrectly, but I laugh about the mistake and move onwards in the conversation. I continue ordering my cafe con leche in the morning. I learned it’s absolutely ok to make mistakes! Being comfortable while speaking a second language does not always come naturally or suddenly. While it can be exasperating struggling in conversation months and months into living in a foreign country, it is important to remember that it is absolutely okay to make mistakes. In fact, it is human to not speak perfectly. The world is not going to end if one mixes up a gender pronoun. If one can understand and be understood while speaking, it shows effective communication. The conversation can be carried on. Push through the difficult moments of grasping for a word and it will lead to fluidity. Finally. The Five Most Important Things I Learned! Do not hesitate to ask for help — if you do not know a word, ask people to explain. Be persistent in speaking the second language — tell people you are learning the language and want to practice. Do your daily activities and chores in the second language — how would you order your favorite meal in another language? What about hailing a taxi or asking for directions? Movies and television shows are your friends and great for practicing pronunciation and listening. Be confident and speak in the second language whenever possible; do not hesitate about making mistakes.